Speedcast International Limited (ASX: SDA) ("Speedcast") has entered into a definitive agreement to acquire Globecomm Systems Inc. ("Globecomm") from affiliates of HPS Investment Partners, LLC Tennenbaum Capital Partners, LLC and certain other members of Globecomm for an estimated net purchase consideration of US$135 million, including expected purchase price adjustments. Globecomm is a leading provider of remote communications and multi-network infrastructure to Government, Maritime, and Enterprise sectors in over 100 countries. The acquisition strengthens Speedcast's global competitive position in these sectors by enhancing its current solutions, and complements the recent acquisition of UltiSat — thus doubling Speedcast's revenue in the Government sector, and adding more scale, visibility and capabilities in this growth market. In addition, Globecomm will benefit from Speedcast's scale and capabilities in the Maritime and Enterprise markets. Speedcast estimates the company will generate more than US$15 million in annual cost synergies within 18 months after the acquisition. The cost synergies are expected to be generated across the business, including through footprint rationalization, network improvements and improved procurement. The acquisition will be funded by a fully underwritten US$175 million add-on to Speedcast's existing seven year senior secured credit facility (due 2025) from the U.S. institutional term loan market, which will also be used to repay a portion of Speedcast's revolving credit facility and thereby enhance Speedcast's liquidity position. The transaction is expected to close in Q4 2018, subject to the completion of customary closing conditions, including regulatory approvals. J.P. Morgan and Jefferies acted as Financial Advisors to Speedcast. Goodwin acted as Legal Advisors to Speedcast. Kirkland and Ellis LLP acted as Legal Advisors to Globecomm. Speedcast CEO Pierre-Jean Beylier said that this acquisition of Globecomm is fully in line with the company's strategy to consolidate the firm's industry and build competitive advantages based on scale and capabilities. 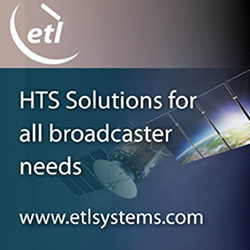 Globecomm is particularly complementary to UltiSat as it strengthens Speedcast's position serving Government customers at a time when government spending globally is expected to rise. Globecomm has built a strong reputation providing remote communications and professional services to key customers in the Government sector, as well as in the Maritime and Enterprise segments. The Globecomm team is joining Speedcast and they will strengthen the company's innovation capabilities with new solutions and strong engineering experience, as well as enhancing Speedcast's system integration propositions. The company expects to drive significant cost and revenue synergy potential from this acquisition, given the strong financial and operational benefits of scale across core verticals. Jason D. Juranek, CEO, Globecomm, added that the Globecomm team is thrilled to join forces with the global leader in remote communications. This is an exciting development for the company's employees and customers and they look forward to building new solutions and further enhancing the firm's customers' experience with the integrated team.